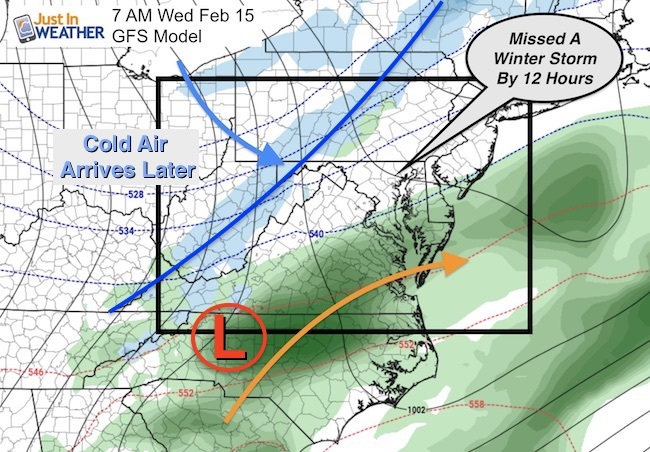 February 15 – Here is the storm that could have been. Last week there was a day or two when the European Model showed a show event. I did not discuss that, because it did not have support and was not meant to be. The timing of the southern storm and cold air is off by about 12 hour. So today, rain may be heavy in southern Maryland this morning. This afternoon colder air will arrive after the storm moves off of the coast. There may be some flurries or snow showers, mainly in the mountains. Then one chilly day followed by a warm up this weekend. In fact we have about a 5 day period of the Presidents Holiday Weekend that will be in the upper 50s to mid 60s. Early taste of spring. Is winter done? No. 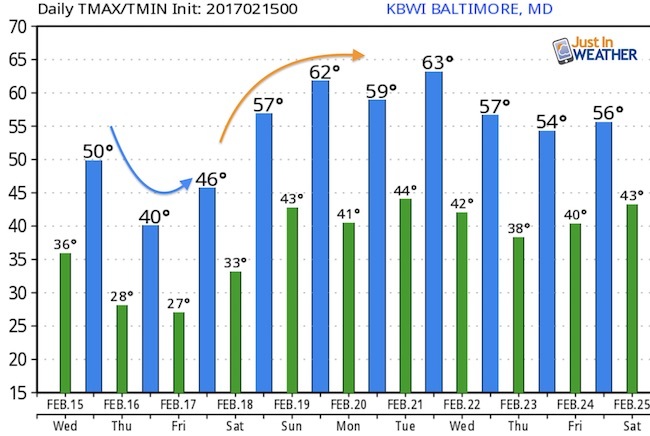 But we are in the 4th quarter and it looks like the next chance for any hint of snow is another week away, and into the end of February. 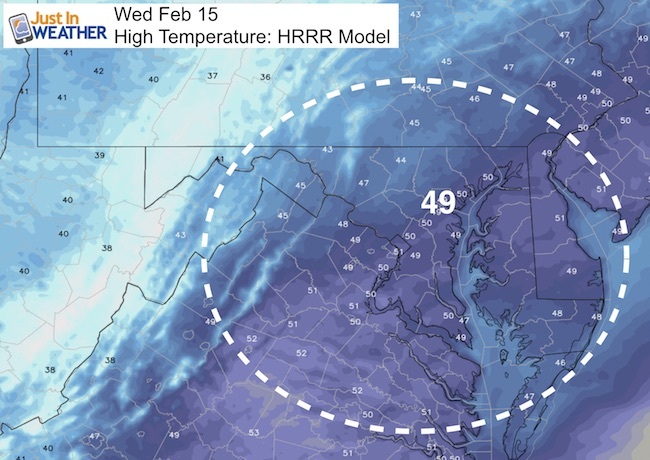 This may be good news for some, but bad for businesses that are based on cold weather. I will have more on the longer range outlook in my evening post.